CG Computers has been best known for its commitment to Apple business across Malaysia. CG Computers has more than 60 outlets across Malaysia. CG Computers Sdn Bhd currently has 8 brand names including Switch, Urban Republic, Samsung Experience, Huawei Experience, Honor, Mi Concept, and Erafone Malaysia. Selling not only smartphones, CG Computers has now a wide range of IOT offered at Urban Republic. Switch is an Apple Premium Reseller and Apple Premium Service Provider in Malaysia with outlets located in Penang, Kedah, Perak, Selangor, Kuala Lumpur, Kelantan, Johor, Malacca, Sabah and Sarawak. We are the earliest company to embark on Apple retail business in which we have the most number of outlets in Malaysia for Apple mono stores. CG Computers has now 33 Switch Retail outlets across Malaysia. Established in 2014, Urban Republic is an exclusive, one-of-a-kind gadget store dedicated in enhancing one’s mobile lifestyle. To ensure great shopping experience, brands are carefully curated and each Urbanistas are trained to provide exceptional customer service. Started with 2 branches in Penang, Urban Republic recently expanded their footprints into Kuala Lumpur, Selangor, Perak, Malacca, Sarawak, Sabah and Johor which will bring us to 9 Urban Republic outlets in Malaysia. Urban Coffee is a cozy spot for coffee enthusiasts and lovers to gather. Fuelled by the desire of offering quality premium coffee, Urban Coffee ensures freely brewed coffee any time, any day for every single patron. With the launch of the outlet within Flex Penang (Plant 5), Urban Coffee takes the love of coffee to the next level. Established in 1996, Erajaya Group is one of the largest and most trusted company engaging in an integrated business of the distribution and retail of mobile telecommunications equipments in Indonesia. Erafone is dealing with multiple mobile phone brands, namely Apple, Samsung, Huawei, Oppo, Sony, Xiaomi, Lenovo and more. Strategically, Erafone will work with specific partner, ie. Samsung to run mono brand store. Currently we own one Samsung Experience Store in Kuching Sarawak. Samsung Experience Store @ The Spring, Kuching brings the ultimate Samsung experience to all who steps into the outlet. Samsung Experience Store covers every range from the J Series, A series to the current up to date flagships, S series and Note. Besides being one of the leading brand names in the mobile industry, The Samsung Experience Store will meet and serve every expectation with excellent quality service. Shoppers will continue to be marvelled with the Samsung’s ecosystem that entices and caters to everyone of all ages. Samsung Experience Store @ The Spring and Kuching Central is part of the Erafone Retail Sdn Bhd banner, which is part of the CG Group of Companies today. Huawei Experience Stores consists a robust lineup of all your favourite desirable Huawei gadgetry. With having 3 outlets in total in Kuching and 2 outlets in Penang, It is everyone's preferred store for anything Huawei related. Shoppers step in to find themselves ported into another world where technology and service will top every expectation. 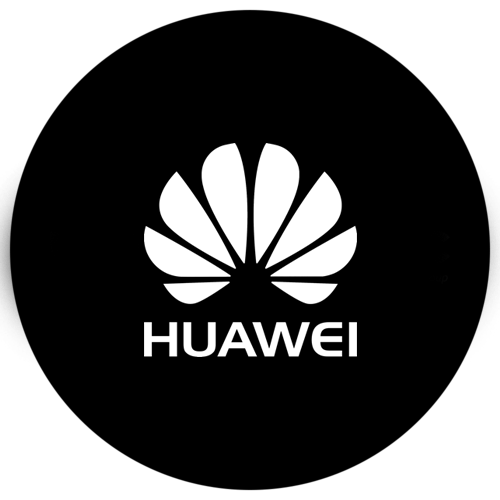 Top of the line Huawei devices makes Huawei the people’s preferred choice. Urban Republic Sdn Bhd outlets are located at Queensbay Mall Penang, Aeon Alma Bukit Mertajam Penang and The Spring at Kuching. Mi Authorised Premium Reseller Store brings you a wealthy selection of genuine Mi products ranging from fitness wearables, smartphones and accessories like earphones, air purifiers and even luggage bags. These high-end gadgetry and appliances are made easily accessible to general consumers because of their competitive pricing in today’s mobile industry. As their name suggests, Mi (Mobile Internet) is opening opportunities for individuals, SME’s and startups alike to stay ahead in an ever-growing industry. Switch Concept Sdn Bhd is known for their premium mobile outlets located throughout Malaysia. One of its outlets under its belt is the Mi Authorised Premium Reseller Store, which was the first ever physical Mi store to arrive on Malaysian shores. Switch Concept Sdn Bhd is part of the CG Group of Companies today. Applicable to products sold at our group of companies in Malaysia only. If the core product you are purchasing shows symptoms of a hardware failure upon its first use out of the box when you are still in our store, you have the right not to accept the item. Please let our crew know that you wish to change to another unit or cancel your purchase. Please ensure that the item is able to be repacked with all the cords, adapters and documentation that were included when you received it. Once you have stepped out of our retail store, we are NOT able to proceed with return and refund for your core product. This DOA policy applies only to core products currently offered at our retail stores. As new products are offered, we reserve the right to determine whether or not this policy applies. The DOA for core products and other Non core products (accessories, casing, cable, bag and etc) offered at our group retail stores may differ. If the product is deemed DOA by core product Technical Support after your purchase date, core product DOA standard product warranty will apply. If the product is deemed by core product Technical Support NOT to be DOA, core product NON DOA standard product warranty will apply. We reserve the right to test returned DOA and Non DOA product. If the condition of the product is misrepresented by the customer, we may impose a handling fee. Please check your accessories before you leave our retail store. Please let our crew know if you wish to change to another unit or cancel your purchase before you leave our store. Refunds will not be provided if you simply change your mind. We may need to send the item to the manufacturer for assessment to determine whether or not you are entitled to an exchange, refund or repair. If we accept merchandise for return that does not fall into any of the above categories, we may charge a 30% restocking fee if the goods have been opened, or the packaging is damaged. Our refunds are processed centrally around 14 working days. When returning a product for a refund, you will be asked for your name, address and signature as authorisation for the refund transaction into your back account or credit card. We reserve the right to change the terms and conditions any time without further notice. Copyright © 2015, CG Computers Sdn Bhd, All Rights Reserved.